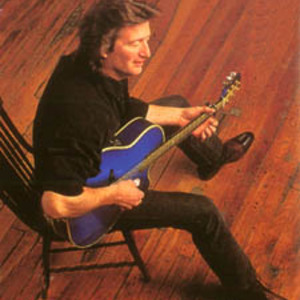 Chris Smither (born November 11, 1944 in Miami, Florida) is an American folk/blues singer, guitarist, and songwriter. He grew up mainly in New Orleans and attended the University of the Americas in Mexico City, planning on becoming an anthropologist, but transferred to Tulane University after a year, during which time he discovered the music of Mississippi John Hurt. While in Paris for a junior year abroad, he spent his time playing guitar rather than attending classes and was kicked out of college as a result. In 1965, he left for Florida to meet Eric von Schmidt, another musical hero of his. von Schmidt encouraged Smither to move to New York City or Cambridge, Massachusetts, and so Smither moved to Cambridge and when he showed up at Club 47, found von Schmidt performing there, who invited him to play a few songs on stage. His first album, I'm a Stranger, Too was released on Poppy Records in 1970. Chris Smither has been touring since then. Chris Smithers song "Love you like a man" from Smithers first album has been famously covered by Bonnie Raitt who has made it a signature song of hers under the title "Love me like a man" (published on her second Album "Give it up")- she has openly expressed admiration for Chris Smithers songwriting and guitarplaying. Later Raitt's version of the song has been covered by The Dixie Chicks and Diana Krall. The protagonist of Linda Barnes's series of "Carlotta Carlyle" mysteries is a fan of Smither's music and several of her books mention it.